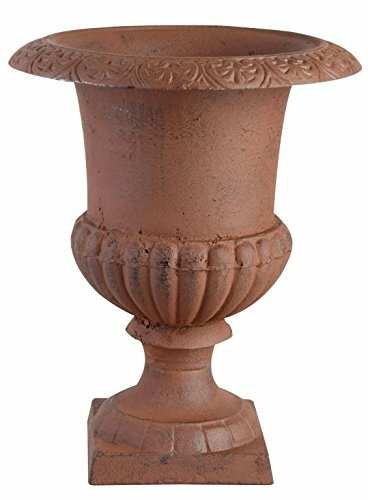 This highly decorative Renaissance inspired urn make a beautiful indoor or outdoor planter. The exquisite detail creates a stylish display alone or filled with greenery. The cast iron construction is durable enough to withstand the elements for years. Urn measures over 12 inches in diameter and 16 inches high.